We’re specialists. For over 20 years, Floor Keepers has been installing, refinishing and maintaining hard-surface floors. We install and service marble, granite, other natural and synthetic stone surfaces, ceramics, hardwoods, laminates and vinyl. Floor Keepers handles commercial, industrial and residential clients of all sizes. We are fully insured and our work is completely guaranteed. We’re not satisfied until you are. 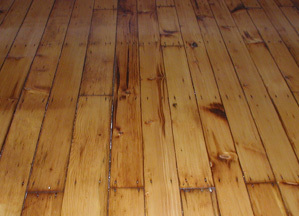 Our professionals are all fully trained in the best and most efficient techniques for your type of floor. Plus we guarantee they’ll treat you, your employees and your property with the same professional respect that they’ll apply to your floors. Floor Keepers owns and maintains a full range of professional tools and materials to get every job done right. Each type of floor requires specialized equipment and techniques for the best results, so we always have the correct equipment on hand and ready to go when it’s needed. We make sure our clients are satisfied with every job. We make sure the work has been done to your specifications and done right. We do not leave you high and dry when we are done with the job. Your honest opinion enables us to maintain a high standard of quality for every customer.